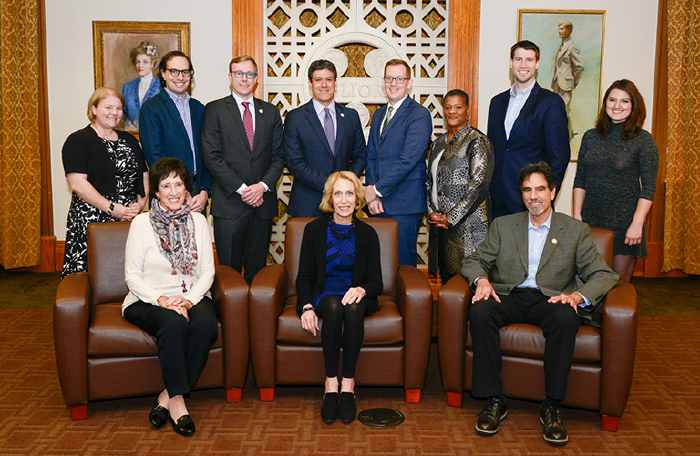 In October of 2017, a group of alumni leaders formed the University of Rochester Alumni Board with the purpose of engaging all alumni in a lifelong connection with one another and with the University. This group, comprised of individuals from a variety of schools, class years, and backgrounds, serves as a voice for the more than 110,000 graduates that make up our global network. In practice, the Board advises and partners with the University to shape and implement its alumni and constituent engagement strategy. Our work complements that of other volunteer organizations, such as the Diversity Advisory Council, school alumni councils, class programs, and regional network leadership cabinets. Together, our efforts continually strengthen and expand our vibrant alumni community, and ensure an ever better future for our alma mater. As chair, I am excited to work with fellow alumni, parents, and friends like you in this important endeavor, and I invite you to become or remain involved however you are able. To partner with staff and volunteers to engage all University of Rochester alumni in a lifelong connection to each other and the University, and provide value to the alumni community. The majority of students—past, present, and future—actively pursue a lifelong relationship with the University of Rochester and its alumni network. Increase measurable engagement between the University and its alumni. Serve as a central advisory body for the Office of Alumni and Constituent Engagement. Help define short- and long-term engagement priorities, goals, and metrics. Provide counsel to the AVP of Alumni Relations & Constituent Engagement on strategic priorities. Coordinate with and foster collaboration across regional and national volunteer committees. Leverage alumni programs to increase engagement across parents, students, and friends of the University. Incorporate the perspectives of constituents from all schools and units. Recognize and cultivate volunteer leaders.